Provide comfort for the family of Mack Bible with a meaningful gesture of sympathy. Heflin - Mack Bible, 74, died Sunday, February 10, 2019 at His Residence. Funeral services will be held at 2:00 PM on Wednesday, February 13, 2019, at Dryden Funeral Home Chapel with Ryan Robertson officiating. Burial will follow in Union Hill Cemetery. Visitation will be Wednesday, February 13, 2019 from 12:00 PM until 2:00 PM. 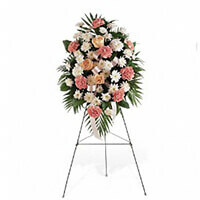 Dryden Funeral Home is in charge of the arrangements. Pallbearers will be: Rex Nolen, Johnny Bible, Dillon Bible, David Hudgins, Michael Morrison, and Garrett Chatham. Honorary pallbearers will be: Bill Cavender, Jimmy Dewberry, L.C. Sailors, Charlie Kennedy, Clyde Loveless, and Chris Meeks. Mack was a native and lifelong resident of Cleburne County and worked at D and L and Die-Tech Industry in Carrollton, GA as a Machinist, He loved to hunt, farm and be outdoors. Mac is preceded in death by his wife, Joyce Bible, daughter, Kim Meeks, parents, Curtis and Willie Jane Bible, and brother, Homer Bible. To send flowers in memory of Mack Bible, please visit our Heartfelt Sympathies Store. We encourage you to share your most beloved memories of Mack here, so that the family and other loved ones can always see it. You can upload cherished photographs, or share your favorite stories, and can even comment on those shared by others. The Pattersons, Steve & Becky and The John Bible Family have sent flowers to the family of Mack Bible. May God wrap His arms around you giving you the strength & peace needed during this difficult time. Sending our sincere condolences. The Pattersons, Steve & Becky purchased the Summer's Light Bouquet for the family of Mack Bible. It's been good to call you our friend. Prayers for the family for comfort. The John Bible Family purchased the Gentle Thoughts Spray for the family of Mack Bible. This man was TRULY my best friend in life. You can finally rest my love. See you again one day. I love you Mack.